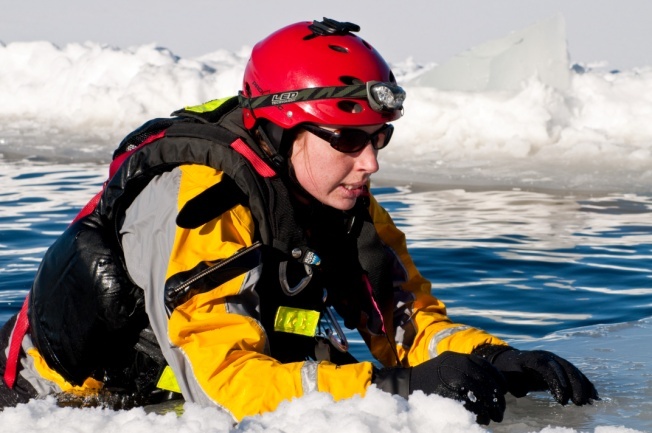 After an introduction to the hazards posed by a frozen lake or river and how to mitigate them, you'll get outfitted in a drysuit, PFD, and other specialised gear for ice safety. We'll have you practicing a variety of self rescue techniques, partner-rescue techniques, ice travel techniques, and get you thinking and planning how you can incorporate safer work practices into your job. The price is $369 per participant; register by January 22st.